It has been horrible weather over the last few days, so it was nice to spend a bit of time in the greenhouse after work. Most things are fully into growth and starting to look good. My replacement aloe suprafoliata is now in full juvenile form. It will stay in this form until it flowers for the first time at which point it will start to spiral and will end up looking like my original plant. I'm still upset to have lost the original plant, it will be years before my current one gets anywhere near as nice. It seems to divide opinion: a lot of people prefer the juvenile form and are upset when it spirals, I much prefer the adult form. 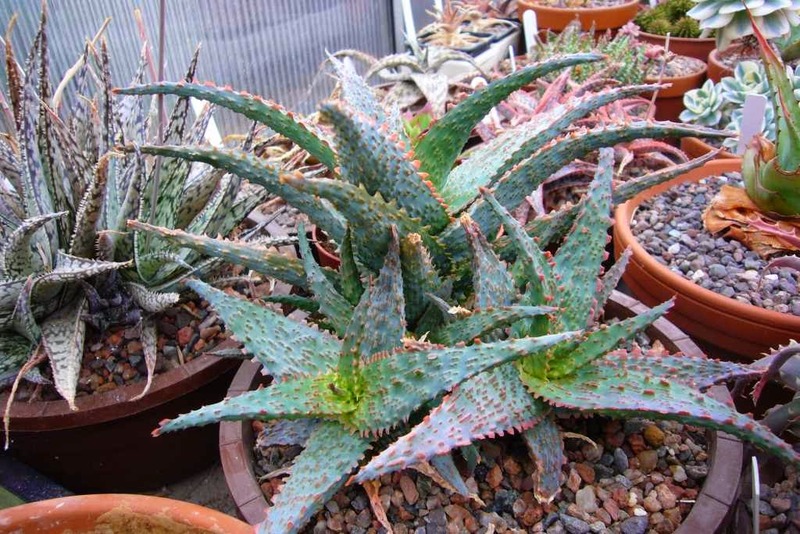 The miniature aloes tend to go a little wild at this time of year. My clump of aloe viper is a decent size now. It's not the best for keeping its colour in the UK, probably needs stronger light. I am undecided if I want to keep it as a single plant or clump, no doubt it will be a spur of the moment decision next time it gets repotted. 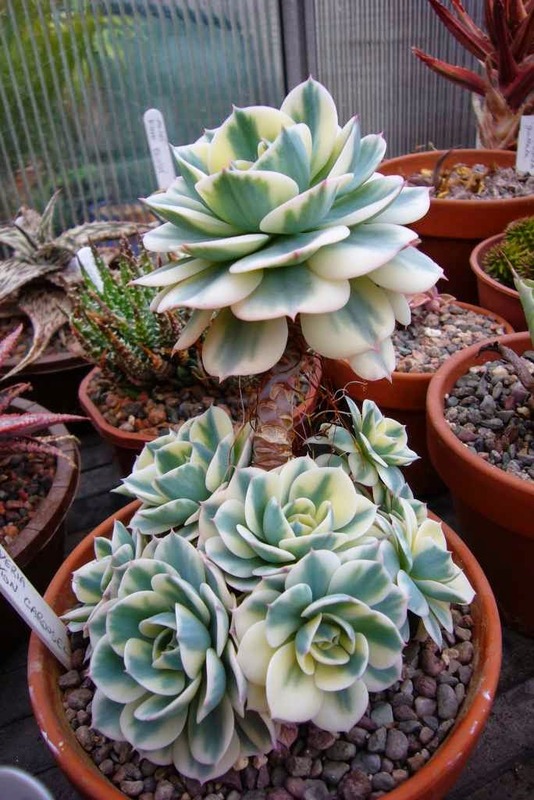 Last but by no means least is the largest pot of echeveria 'Compton Carousel'. Having got leggy last winter, it produced lots of pups on the stem and for once I was able to restrain from cutting them off. The plan is to find a nice pot and plant it in a mini landscape. I will probably cut the parent plant off at the same time, unless it would work grown up a rock. Now we are a bit more settled in the house, I will hopefully be able to split my time between working on the garden and taking care of the plants in pots. I like the Echeveria clump. 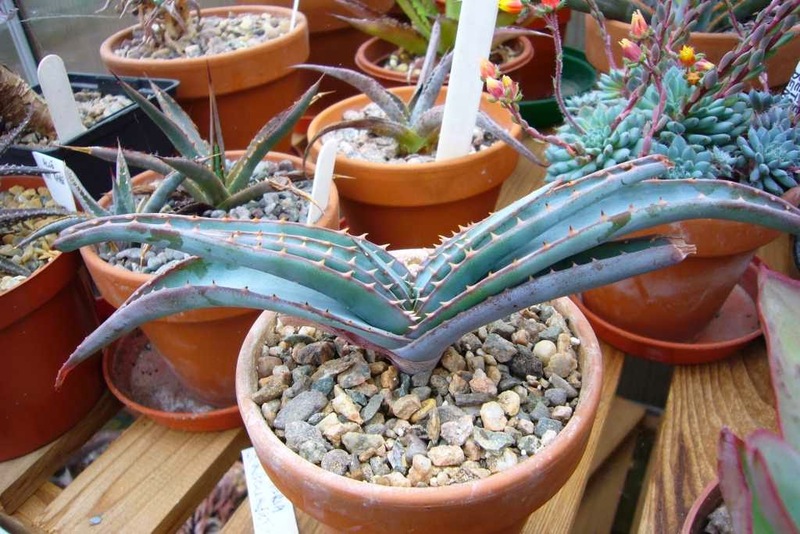 I had a few Aloes flower over Winter [ please have a look on Succulent Sundae ] but I do not have space for many. 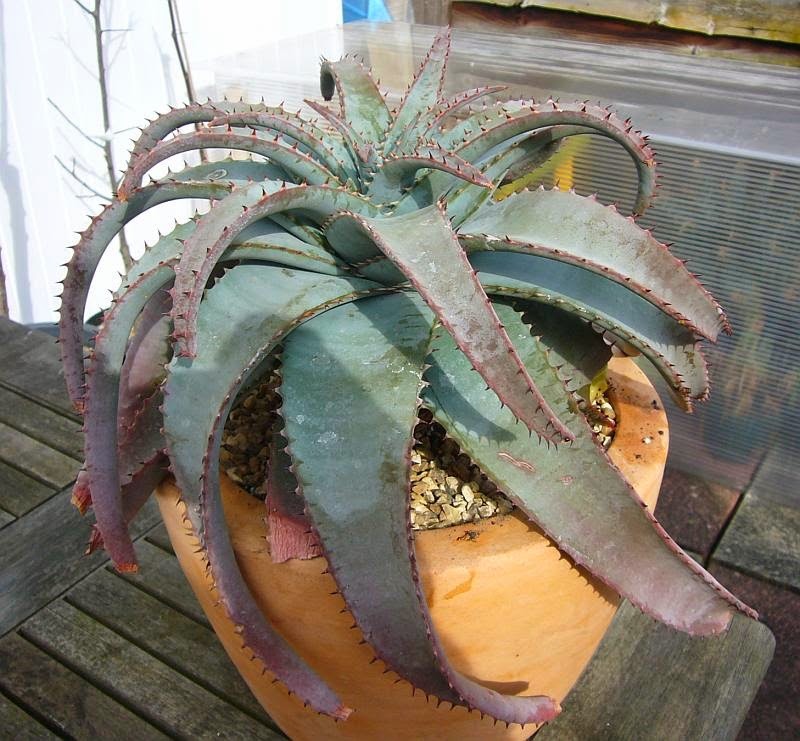 I have the same aloe problem especially this year where they flowered much earlier due to the early spring. I wish there were more that were hardy, I would love more planted out. I see what you mean about the A. suprafoliata. You are right, it is even more beautiful spiraled. Maybe it is that a lot of people haven't seen the adult form and if you didn't have the adult to compare it to the juvenile form is very pretty. Are they more common in the US? You very very rarely see them in the UK.